In our Instagram feed, we sometimes share RTW (ready-to-wear) looks that we come across that would be easy to recreate with a Blank Slate Pattern. This one uses the fan favorite Shoreline Boatneck. Then decide how long you want your ruffles; it looks like these are about 3″ or so. It will be the most fabric efficient if you cut a piece for the front and one for the back, then join them at the side seams. 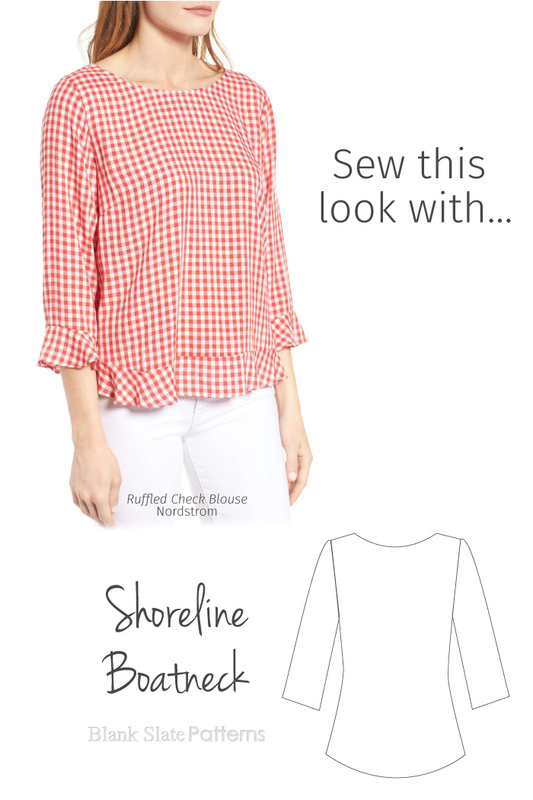 red or aqua gingham cotton lawn — This would have more crispness than the rayon in the inspiration garment, but if you’re married to the gingham, it would still be cute!